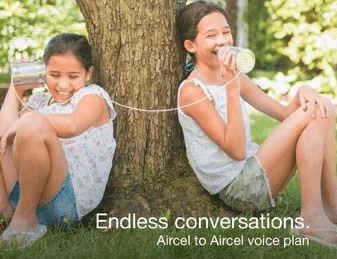 Aircel has now launched an Unlimited Morning Voice Calls pack in the Kolkata circle. This offer by the telecom operator isn’t a unique one as it was introduced an year ago for free. However, the pack is now chargeable for customers. Unlike old offerings, both old and new customers would be able to use the pack. To get the unlimited morning calls to any local Aircel number, customers would have to dial a USSD number *121*6290# from their phone. Once they dial this number, their service would be activated soon, and customers using the plan will be charged for the first call at a rate of Re. 1 per minute. However, the company states that Morning Unlimited on-net calls would be available from 6 AM to 8 AM. Aircel is offering this pack only in Kolkata for now, but it is completely possible that it can introduce similar calling packs pack in other circles where it’s operating its business. Bad. It is not available in the 1st circle, Tamilnadu. on a different note: Manual selection of Aircel network is possible here from Rgsm sim. Any news on 2g ICR ?